For looks inspired by nature, try this TierraCast button. This circular button features a bowed tree with leafy branches on the front. It's a great accent to earthy designs and makes a powerful statement in tree of life designs. Use it in designs inspired by nature. A loop is attached to the back of the button, so you can easily add it to designs. Try it as a closure on wrap bracelets, use it in bead embroidery, and more. It features a versatile silver shine. Simple style is easy to achieve with the TierraCast bird in a tree bangle bracelet kit. This kit will help you create a wire bangle with a tree focal and a bird charm accent. This kit makes one 6 to 9-inch bracelet. Supplies include one link, one charm, seed beads and 12 inches of craft wire. The required tools needed to complete this kit are a bracelet mandrel or other round form, round nose pliers, chain nose pliers, flush cutters, a cup burr file or emery board and a permanent marker. Sweet bird style fills this TierraCast charm. This charm is shaped like a hummingbird in flight. The beautiful details are sure to stand out in your style. A loop is attached to the top of the charm, so you can easily add it to jewelry designs. Dangle it in earrings, necklaces, or even a bracelet. It's perfect for springtime looks, garden themes, and more. This charm features a versatile silver shine that will work with any color palette. Cuteness fills the TierraCast antique silver-plated pewter fat bird charm. This flat, circular charm features a plump little bird stamped into the front. The back is blank. This charm is great for personalizing designs. Express yourself with one simple charm. A loop is attached to the top, so you can easily add it to designs. Use it in earrings, necklaces or charm bracelets. It features a versatile silver shine. This adorable antique silver paloma link from TierraCast is a very detailed link that can easily be the focal point of any piece. Paloma is the Spanish word for dove, and this link is a good representation of the bird. The dove sits calmly in the midst of a flower garden with its wings folded against its back. The face of this square link is framed with a row of tiny silver beads. This link was designed specifically for TierraCast's Viva Mexicana line. Nature's elegance reigns in this TierraCast button. This circular button features a bowed tree with leafy branches on the front. It's a great accent to earthy designs and makes a powerful statement in tree of life designs. Use it in designs inspired by nature. A loop is attached to the back of the button, so you can easily add it to designs. Try it as a closure on wrap bracelets, use it in bead embroidery, and more. It features a golden brown shine with vintage appeal. Lend your designs a woodland look with the TierraCast antique gold-plated pewter bird in a tree pendant. This oval-shaped pendant features a tree with leafy branches. The design is featured on both sides, so it will look great at any angle. A bird is perched on one of the branches. The loop attached to the top makes it easy to add to designs. Use it as a focal in necklace designs or add it to unique earrings. It will look great anywhere. This pendant features a regal golden shine. Bring boho fun to your jewelry designs with this TierraCast charm. This small charm takes on the shape of a feather full of amazing detail. The base of the feather features a loop, so you can easily add it to your jewelry designs. Dangle it in earrings, necklaces, or bracelets. it will look great in any project. This charm features a versatile silver shine that will work with any color palette you have in mind. Woodland charm fills the TierraCast antique silver-plated pewter bird in a tree charm. This circular charm features a tree with leafy branches on both sides. A bird is perched on one of the branches. The loop attached to the top makes it easy to add to designs. Use it in necklaces, bracelets and earrings. It will look great anywhere. This charm features a versatile silver shine that would work well with any color palette. For whimsical style inspired by nature, try this TierraCast link. This link is square in shape and features a scene of two birds starting a nest in a tree on the front. The beautiful design continues on the back, with accents of leafy branches. A cut-out at each of the four corners makes it easy to use this piece as a link. Showcase it at the center of a multi-strand bracelet, use it as a chandelier, and more. 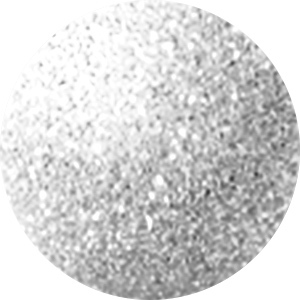 It features a silvery shine that will work with any color palette you have in mind. Sweet bird style fills this TierraCast charm. This charm is shaped like a hummingbird in flight. The beautiful details are sure to stand out in your style. A loop is attached to the top of the charm, so you can easily add it to jewelry designs. Dangle it in earrings, necklaces, or even a bracelet. It's perfect for springtime looks, garden themes, and more. This charm features a regal golden shine full of classic style. Sweet style inspired by nature fills this TierraCast link. This link is square in shape and features a scene of two birds starting a nest in a tree on the front. The beautiful design continues on the back, with accents of leafy branches. A cut-out at each of the four corners makes it easy to use this piece as a link. Showcase it at the center of a multi-strand bracelet, use it as a chandelier, and more. It displays a dark brass color that will add vintage appeal to designs. This antique silver charm features a classic design displaying a small swallow mid-flight. This gorgeous design combines with the dark accents and vintage silver color to create a timeless component. Add this charm to your beaded jewelry and craft designs for nature and bird-themed creations. Whether you are creating a simple pair of earrings or embellishing a scrapbook page, this bird charm will offer you a fantastic accent. Add a touch of woodland style to your designs with the TierraCast brass oxide pewter bird in a tree button. This button features a circular shape. The front displays a beautiful tree display full of leaves with a bird perched on a branch. The background is recessed and darker than the rest of the design. The shank on the back of this button makes it easy to add to designs. Use it in sewing projects, wrap bracelets and more. This button features a dark golden brown shine. This cute paloma bead from TierraCast will provide your jewelry designs with a unique piece full of detail. Paloma is the Spanish word for dove, and this bead is a good representation of the bird. It sits calmly with its wings folded against its back. A small hole goes through the back and out directly behind the feet so that when this link is threaded, the dove will appear to be sitting. This bead is just the right size to be added to a pair of earrings or a bracelet in need of a bold touch. Make a woodland statement in your designs with the TierraCast antique copper-plated pewter bird in a tree pendant. This oval-shaped pendant features a tree with leafy branches. The design is featured on both sides, so it will look great at any angle. A bird is perched on one of the branches. The loop attached to the top makes it easy to add to designs. Use it as a focal in necklace designs or add it to unique earrings. It will look great anywhere. This pendant features a warm copper glow. Sweet bird style fills this TierraCast charm. This charm is shaped like a hummingbird in flight. The beautiful details are sure to stand out in your style. A loop is attached to the top of the charm, so you can easily add it to jewelry designs. Dangle it in earrings, necklaces, or even a bracelet. It's perfect for springtime looks, garden themes, and more. It features a warm copper color full of rich style. Light up designs with the woodland style of the TierraCast antique gold-plated pewter bird in a tree charm. This circular charm features a tree with leafy branches on both sides. A bird is perched on one of the branches. The loop attached to the top makes it easy to add to designs. Use it in necklaces, bracelets and earrings. It will look great anywhere. This charm features a regal golden shine that would work well with classic color palettes. Bring nature to your style with this TierraCast button. This circular button features a bowed tree with leafy branches on the front. It's a great accent to earthy designs and makes a powerful statement in tree of life designs. Use it in designs inspired by nature. A loop is attached to the back of the button, so you can easily add it to designs. Try it as a closure on wrap bracelets, use it in bead embroidery, and more. It features a warm copper glow. Add an earthy look to designs with the TierraCast antique copper-plated pewter bird in a tree charm. This circular charm features a tree with leafy branches on both sides. A bird is perched on one of the branches. The loop attached to the top makes it easy to add to designs. Use it in necklaces, bracelets and earrings. It will look great anywhere. This charm features a warm copper glow that would work well with earth tones. Accent designs with the elegant style of the TierraCast antique gold-plated pewter swallow bird charm. This gorgeous design combines with the dark accents and vintage gold color to create a timeless component. Add this charm to your beaded jewelry and craft designs for nature and bird-themed creations. Whether you are creating a simple pair of earrings or embellishing a scrapbook page, this bird charm will offer you a fantastic accent. The design is featured on the front and back of this charm.